Of all the North American species, black walnut (Juglans nigra) is probably the species that would receive the title of "elegant." It has an aura of being expensive, while yet being very serviceable for furniture, millwork, cabinetry and flooring. Oftentimes, thicker (8/4 and 10/4 thicknesses), defect-free pieces (8 inches and wider) of walnut demand extremely high prices. Note that the NHLA grading rules for walnut are different than for all other Eastern hardwoods. The grading system is based on small clear areas rather than the large areas commonly used. The natural decay resistance of this species and its abundance during colonial times made it ideal for home construction, for fences (especially those fences that crisscrossed rather than used posts to which the fence boards or rails were nailed to), and for cooking and tableware. Its straightness of the grain, even when moisture changed, and its ability to absorb shock made it ideal for gunstocks, a use that still persists today. Hundreds of years of cutting and high demand for this excellent wood has led to decreased supplies in the forests and resultant higher prices for the lumber. When purchasing walnut, if many smaller clear pieces are need, such as for cabinets, it is more economical to purchase lower grade material, even though there will be some waste. When processing upper grade pieces, any waste that cannot be used should be saved and perhaps donated to schools or non-profit workshops. Walnut sapwood is white, but is not too wide, so does not appear on too many pieces of lumber when large logs are being sawn. Unfortunately, today's log size is decreasing at the sawmill, so sapwood is becoming more prevalent on more pieces of lumber. Most uses do not like the white sapwood, but want the rich, chocolate colored heartwood. To make the wood more uniform in color and to darken the sapwood, oftentimes the wood is steamed for several days before drying. This steaming also eliminates the greenish hue sometimes encountered within the brown heartwood. (Not all steaming is done correctly; steaming must be done on freshly sawn lumber at temperatures of about 200 to 210 degrees F with 100 percent relative humidity for several days. Be careful when purchasing walnut that the contract includes some recourse if the sapwood color is not acceptable. Make sure to check the core and the surface for correct color. Also, file any color complaints ASAP after receipt of the lumber. Note that the color will not darken much after steaming; what you see is what you have.) 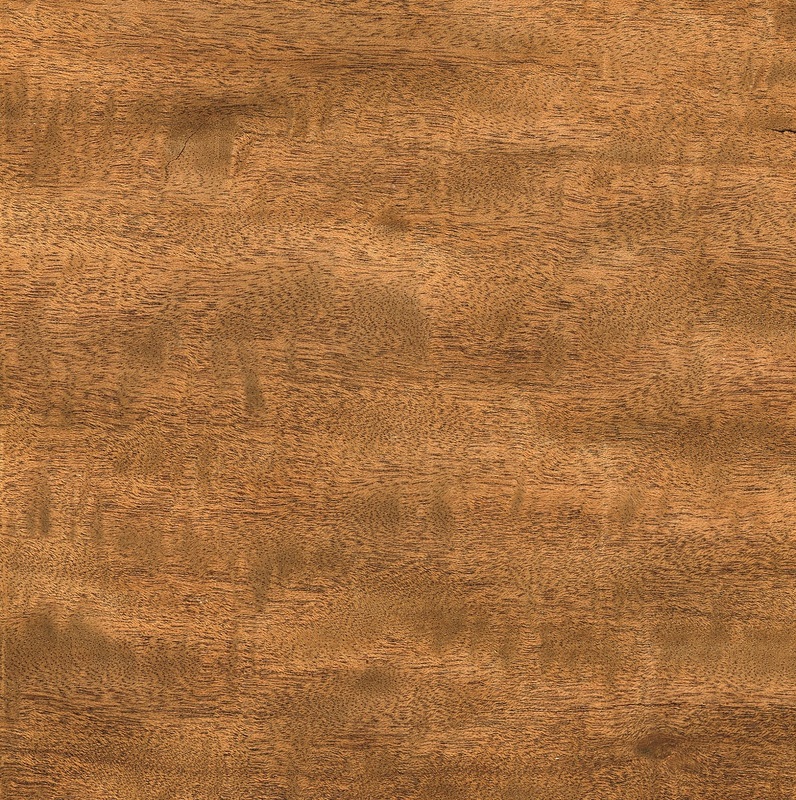 If walnut is not steamed, the sapwood is usually custom stained in finishing to develop uniform color. Such "stained" wood may not be suitable in all cases. As the walnut color darkens slowly over the years, this stained sapwood area does not darken as much. This means some color contrasts may develop after several years or longer that can be undesirable. Walnut has a density of 37 pounds per cubic foot. Kiln-dried lumber weighs about 3 pounds per board foot. This density is in the middle of U.S. hardwood species. Walnut dries without much defect, but must be dried slowly, especially thick stock, to avoid interior cracks, similar to honeycomb in oak. End coating is essential for thicker stock, and is recommended for thinner material as well. Shrinkage from green to 6 percent MC for flatsawn lumber is approximately 6 percent. Walnut is very easy to glue. In fact, it is somewhat forgiving, if all variables are not quite perfect. Nevertheless, due to the high cost of walnut, all efforts should be made to assure that gluing defects never occur, meaning that surfaces should be flat, straight, and freshly prepared. Machining properties are excellent. When sanded, a premium surface is easily obtained. Once dried, walnut is extremely stable, although like all wood species, it will swell with gain of moisture and shrink with loss. Walnut’s shrinkage and swelling rate is lower than many other North American species, however. Further, due to its inherent straight grain, warping when the moisture changes is rare. Walnut is quite strong. The MOR is 14,600 psi which compares well to maple and other strong species. The stiffness (MOE) is 1.7 million psi, which again is quite stiff. Hardness is 1,010 pounds, which is substantial. The color of walnut heartwood varies, from greenish to dark brown when first cut. As the wood ages, initially it turns to a chocolate brown color and then darkens even more. We can certainly start an argument, but my opinion is that some of the best colored walnut comes from Missouri and the surrounding areas. Walnut sapwood is white, but is not too wide, so does not appear on too many pieces of lumber when the logs being sawn are large. Unfortunately, today log size is decreasing at the sawmill, so sapwood is becoming more prevalent. Most uses do not like the white sapwood, but want the rich, chocolate-colored heartwood. To make the wood more uniform in color, oftentimes the wood is steamed for several days before drying to darken the sapwood and also to eliminate the greenish hue sometimes encountered. (Not all steaming is done correctly; be careful when purchasing without checking for sapwood color.) 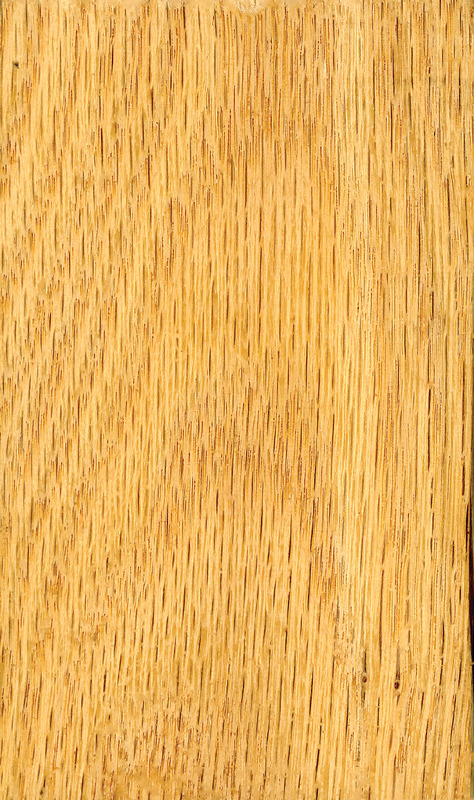 If not steamed, the sapwood is usually custom stained in finishing to develop uniform color, but as the wood subsequently changes color over the years, this stained area does develop color contrasts that can be undesirable. 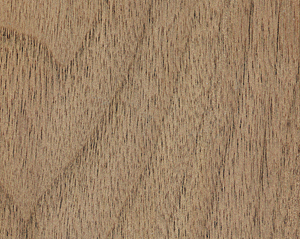 Walnut grain is typically extremely straight and is quite uniform; annual growth rings are not obvious. However, grain deviations do occur from time to time, especially in walnut burls, that lead to swirls, ribbon stripes, and other beautiful grain patterns. Such grain deviations in lumber will attract higher prices, especially in retail markets.